Pipe Wrench Plumbing, Heating & Cooling, Inc. offers the energy-efficient solutions you need to improve the performance of your plumbing, heating, or cooling system. As the premier HVAC and plumbing company in Knoxville, we deliver on our promise to respect your time, home, and budget. Providing top-level plumbing and HVAC service in Knoxville and the surrounding areas, you can always count on our team to come to your home or business the same day you call. Our licensed technicians and plumbers are up to date on the latest technology and products to better serve you. When we first started Pipe Wrench Plumbing, Heating & Cooling, Inc., we set out on a path to deliver a service respectable of your property, considerate of your time, and accommodating of your budget. We're still accomplishing our mission to this day. today by calling (865) 518-7008 or filling out our online contact form. We can help! Why call anyone else? Contact our courteous staff today at (865) 518-7008! At Pipe Wrench Plumbing, Heating & Cooling, Inc., we have rescued more than 18,000 customers from plumbing, heating and cooling failures in the area. Our customers are loyal because of the quality of plumbing and HVAC services that we have provided time and time again over the past 20 years. Only the best will do when it comes to choosing the products and materials we use. Additionally, our technicians attend industry training sessions on an ongoing basis to ensure that we remain innovative and up-to-date with the latest techniques, tips, and products in the plumbing and HVAC industry. We maintain the highest standards and as a result, our skilled and trained technicians are licensed, insured, and always ahead of the curve with newest technology advancements in the market. Whether you have a leaky water heater, clogged sewer or drain, or unreliable HVAC equipment, Pipe Wrench Plumbing, Heating & Cooling, Inc. can resolve the issue at once. With help from our industry expertise and rigorous experience, we have tackled the most complex issues on our neighbors' behalves. Make us your plumbing and HVAC company of choice today! Here at Pipe Wrench Plumbing, Heating & Cooling, Inc., we speak your language. 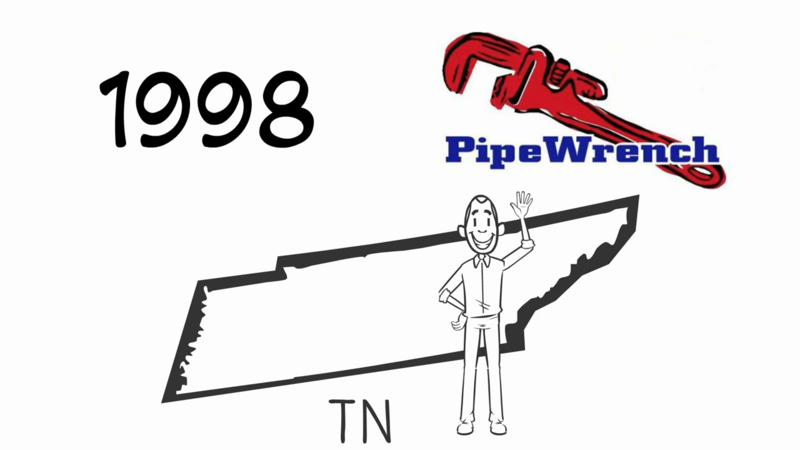 For more than 20 years, we have upheld our reputation for being the most trusted plumbing and HVAC technicians in Knoxville. True experts at what we do, our staff is trained to handle all jobs, both big or small. Servicing every need with the utmost professionalism is our promise! Don't hesitate to call when you have an emergency. Guaranteed same day service sets us apart from other technicians in the area, because the service is free unless we deliver on what we say!